Last month, the DRC’s Constitutional Court granted a petition of the National Electoral Commission to postpone the elections to 2018. Meanwhile, on 18 October, participants in a national dialogue on elections signed an agreement to conduct the polls in April 2018 – however, the dialogue is being boycotted by several of the main opposition groups, some of which have been staging protests. According to the news release, accompanied by senior officials from the UN Organization Stabilization Mission in the Democratic Republic of the Congo (MONUSCO), Mr. Djinnit held “fruitful” meetings with the Acting Secretary-General of CENCO, the representatives of the Presidential Majority, the opposition coalition of political parties known as the Rassemblement, as well as several individual political leaders. The UN envoy also paid a courtesy call on Prime Minister-designate Samy Badibanga. The news release also noted that in his meetings, Mr. Djinnit expressed support for the ongoing mediation efforts by CENCO, and encouraged representatives from the government and the Rassemblement to exercise restraint and take additional confidence-building measures to help create the enabling environment for successful and peaceful negotiations. While in the region, the Special Envoy also visited the Republic of Congo, where he met with President Denis Sassou Nguesso in the country’s capital, Brazzaville. They discussed the preparation of the next meeting of the Regional Oversight Mechanism of the Framework for Peace, Security and Cooperation, which will be held in October 2017, as well as the need for promoting common ground between the electoral stakeholders in the DRC and the situation in Burundi. 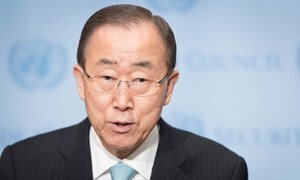 United Nations Secretary-General Ban Ki moon has taken note of the appointment today of Samy Badibanga as Prime Minister ahead of the formation of a transitional government of national unity in the Democratic Republic of the Congo (DRC), in line with the political agreement of 18 October.